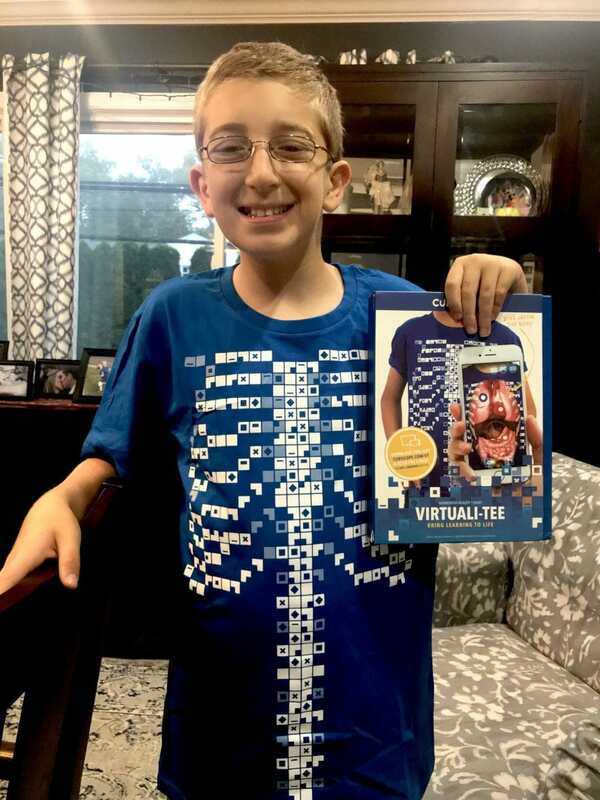 Lady and the Blog → Child Style → The Curiscope Virtuali-Tee Lets Your Kids Take A Look At Their Organs! 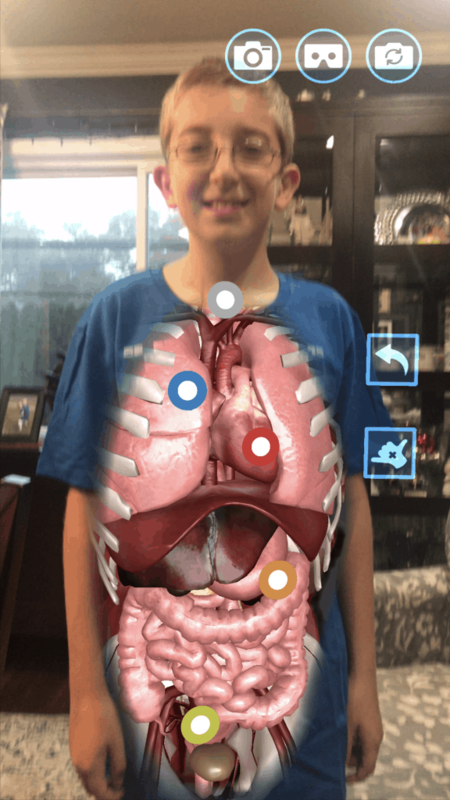 The Curiscope Virtuali-Tee Lets Your Kids Take A Look At Their Organs! This is such a cool idea OMG I CANNOT BELIEVE IT I AM SCREAMING AT YOU WITH ALL CAPS. Ok, let me calm down. I want to preface this entire article by saying that I never jump on Kickstarters. I just don’t. I think that’s simply because I am inundated with requests on a regular basis. Bloggers receive hundreds of emails a day – and that’s not an understatement. I cannot support everything that comes through to me. While it would be wonderful if it was possible, I’m just not humanly capable. HOWEVER, when I saw this Kickstarter for the Curiscope Virtuali-tee, I broke my own rule. This product is absolutely amazing. You want to inspire curiosity in the mind of a child? Give them this shirt and hand them your phone. Then sit back and watch the learning and the magic happen right before your eyes. 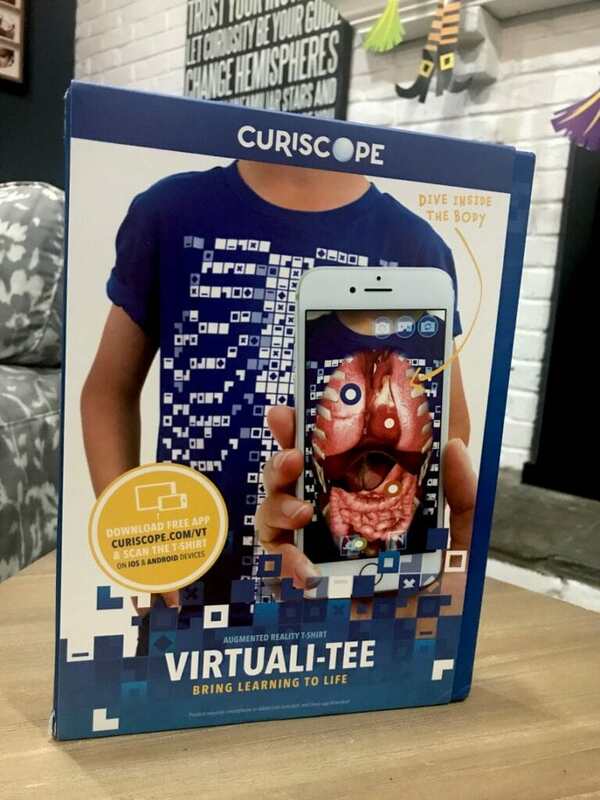 The Curiscope Virtuali-Tee gives us all a look inside the human body. Ever wanted to take a peek under your own skin? Have a little fun with this new tech design. Beating hearts, racing lungs, pumping veins – oh my! Dig deeper and deeper into the mystery that is the human body. When you look at the shirt by itself, you actually have no idea what you are viewing. I have a feeling that these designs are really going to explode. Right now, we are in the day and age of SAYINGS. Every shirt that passes you is making some sort of statement. Everyone is using their t-shirts as a bulletin board for their personal expression. But, what if things start to get a bit more complicated. What if everyone starts to wear shirts like this and the only way to know what I’m thinking is if you whip out one of these decoder apps? I think these two blokes are onto something! Truly! I have a t-shirt line. I am reading about what’s going on in the industry all day long. These two are way ahead of the curve!!! I LOVE IT SO MUCH OMG!!!! This photo is a little blurry – my son had to run out to school this morning and I didn’t check the shot before he did. 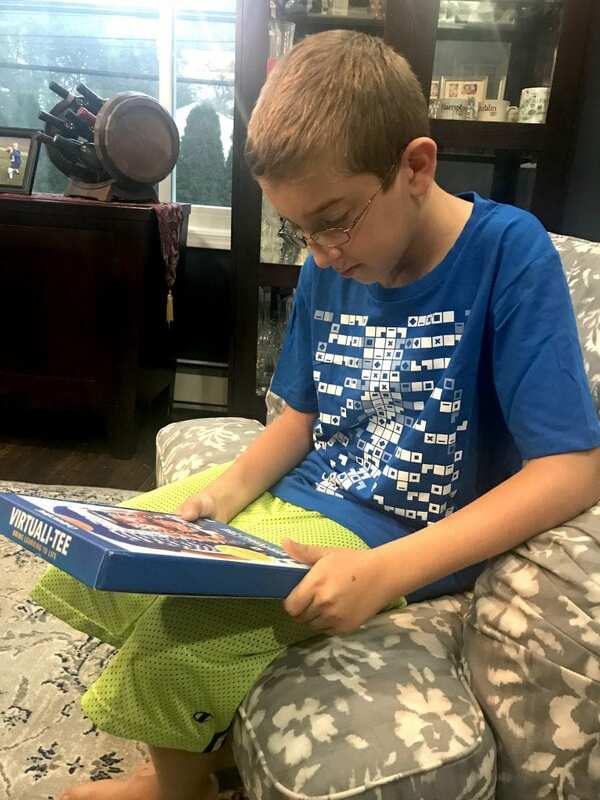 Liam was DYING to show his class the Curiscope Virtuali-Tee. They are actually currently learning about blood cells. He was straight up manic to bring in the shirt to show his teacher. It was perfect timing. In fact, I feel that this shirt should be targeted to all science teachers across the board. Maybe a note to the Board of Education? I’m sure there is grant money available to get every school to have one. I feel like this needs to be part of lessons in the classroom. TALK ABOUT hands on! This is how our children want to learn. Of course, we need textbooks still. I’m not saying we don’t. But what a home run a lesson would be if it ended with a virtual run through of the body like this. All thanks to the Curiscope Virtuali-Tee. I’m GOING CRAZY HERE I GO AGAIN WITH THE CAPS OMG MAKE IT STOP. Here’s a link to the iPhone app download and the Google Play app download. Get on this. To see this shirt in action, watch the above video. TO support the Kickstarter campaign and snag your very own Curiscope Virtuali-Tee, click here.